We offer a cost effective way to improve your supply chain and gain a critical advantage against the competition because our professional executives are continuously evaluating your logistics needs and opportunities. We have developed a keen understanding of how transportation logistics analysis is used to provide real supply chain value to our customer. We readily accept and cover same day shipments regardless of market condition. If your production shifts into overdrive, we will be there with the resources to meet your needs. Our logistics account executives are available by cell phone 24/7 including holidays and weekends. So, no matter the day or hour you will always be able to reach a live logistics professional on the phone for any assistant. In today’s demanding economy and business environment, having an experienced logistics and transportation company as your ocean transport partner has never been more critical. We provide ocean carriage to meet any of our clients’ needs: whether it is FCL or LCL, we handle any size and any weight shipments including project cargo and have long experience with Dangerous Goods, temperature control and reefer containers and extra security requirements. We provide our clients with regular updated sailing schedules. We provide our overseas partners with updated tariffs allowing them to quote their clients immediately. Our experienced team of ocean freight professionals can help configure the most appropriate and cost efficient solution for you. Modern World Logistics dedicated team ensures your freight is handled with the utmost security while complying with all customs and regulatory provisions. With focus on reducing costs by optimizing your cargo flow, MWL offers flexible road freight services customized to meet the needs of international groupage, part-load and full-load shipments by road and inter-modal. The team of knowledge based professional from the company offer you collection and delivery solutions for a direct, non-stop route to your desired destination. Use of correct trailer for transporting your cargo allows the company to make maximum use of capacity, while assuring safety & timeliness. MWL combines high-quality basic freight services into a seamlessly integrated supply chain solution, thus making its clients more competitive. Modern World Logistics has extensive experience in packaging and transporting hazardous material via. air, sea and road transportation. The company can arrange pickup and delivery from all major trading centers throughout the world. Modern World Logistics is efficiently backed by a knowledge based team updated with governmental regulations in Ghana. Modern World Logistics is committed to ensure that your perishable shipments will arrive on time. Different kinds of perishables that Modern World Logistics has been handling include foodstuffs, agro-products, pharmaceuticals & more. Modern World Logistics works in compliance with the IATA and established International standards and regulations. Freshness is always maintained, as the products are stored in the cool rooms and freezers where the temperature is systematically controlled. Modern World Logistics is equipped to handle over-dimensional and project shipments safely, whether they are moving overseas, locally, or anywhere within the country. The company is well versed in the required permits, legal restrictions and necessary equipment to ensure the smooth transit of over-dimensional freight anywhere in the Ghana and to neighbor countries. Modern World Logistics moves a lot of cargo with unusual requirement for handling / hauling, rigging / securing expertise, and complex planning / scheduling. The company’s expertise in the area allows it to develop a comprehensive strategy that takes into consideration every facet of the project, from freight evaluation and carrier selection, to site surveys and route clearances. This results in considerable savings in both time and cost for our clients – and the avoidance of costly mistakes common with the transport of over dimensional cargo. Modern World Logistics understands the complexities of handling import and export shipments and cross-border consignments better than anyone. The comprehensive customs brokerage, clearance and compliance services combine in-depth expertise in Ghana customs regulations with local knowledge – ensuring the smooth and expeditious flow of shipments to and from Ghana. Our expertise in the field are GIFF, FIATA, and Customs trained covers customs regulations, bond requirements, duty rates, and petition and protest procedures. Modern World Logistics expertises in providing aircraft chartering services for movement of time sensitive cargo across the world. The company leverages on wide-spread network to find perfect aircraft based on the nature of the cargo to be transported. The experienced team of friendly professionals provides cost-effective air cargo solutions. 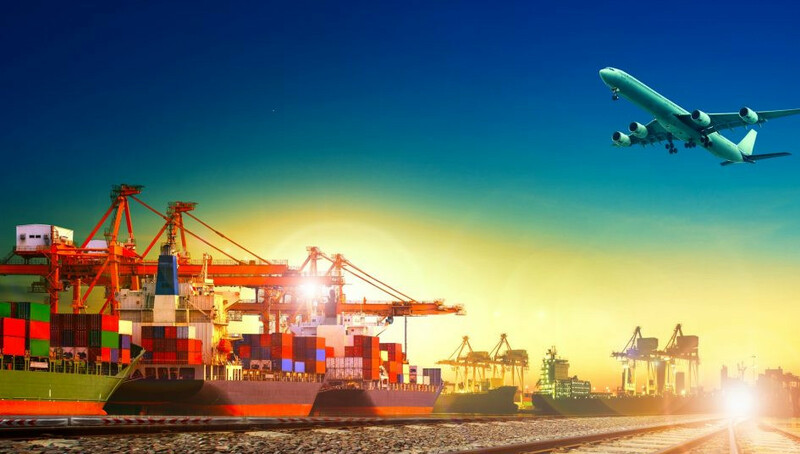 The services are specially structured to provide support to worldwide freight companies and individual clients, who require strategic transportation assistance. Using the extensive network of vessel brokers and owners, Modern World Logistics’ door to door chartering and flexible schedules make us the perfect partner for all your part-charter and full-charter requirements. With vessels of all sizes, from different lifting capabilities, to Ro / Ro, bulk, container carriers and gearless ships, Modern World Logistics will manage everything from export and customs documentation to on-site supervision at port of discharge. Modern World Logistics draws upon decades of global experience and expertise to help you manage the complexities of international trade and regulatory compliance. With our assistance, you can now cross borders seamlessly by utilizing our customs clearance services, import and export , Whether you’re importing or exporting, Modern World Logistics is there to provide you with a wide range of trade services to keep your freight moving forward. Export restrictions and regulations can change rapidly in the global marketplace. Modern World logistics team of Export professionals monitor these changes closely, and ensure that your export shipments are in full compliance with any necessary commodity license controls. Import Compliance is more important than ever before. Modern World Logisitcs team of Import professionals are trained to identify regulations from all government agencies, ministries that may apply to the commodity you are importing. We can assist you in obtaining any necessary permits certificates or licenses to keep your freight moving forward. Sometimes, changes to your Customs entry or declaration are required after or before the clearance process. Modern World Logistics team of GCnet specialists can assist with the preparation and submission of any necessary post entry corrections to ensure accuracy and compliance. Around the world, a large percentage of eligible duty drawback and duty reclamation claims are never filed. Modern World Logistics team of Duty Drawback Professionals can help you determine if your goods qualify for a duty refund and assist you with the recovery of these funds. We realize that companies do not always have the time, resources and experience to navigate through the maze of customs brokerage and compliance matters on their own. Modern World Logistics offers consulting services free of charge that can help you.